The Rice & Rose Law Firm is sponsoring the Ormond Beach Family YMCA's 1st Annual Y 5k/10K & 1-Mile Fun Run/Walk. The event will begin at 7:30am on Saturday, December 1, 2012. This 5k/10k event will put your physical endurance and mental strength to the test. This event is great for beginners and the most passionate fitness enthusiasts of any age. Join us at the starting line for a fun and challenging experience. 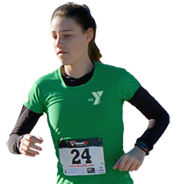 Click here for the 1st Annual Y 5k/10K & 1-Mile Fun Run/Walk brochure and registration form.